KULIM is now forming Bolinger Band Squeeze. 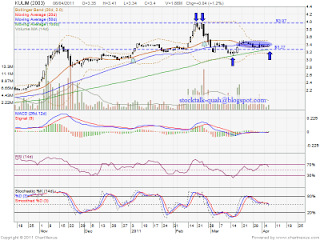 Most analysts will take a position once the price breaks up the bolinger band with increased volume. 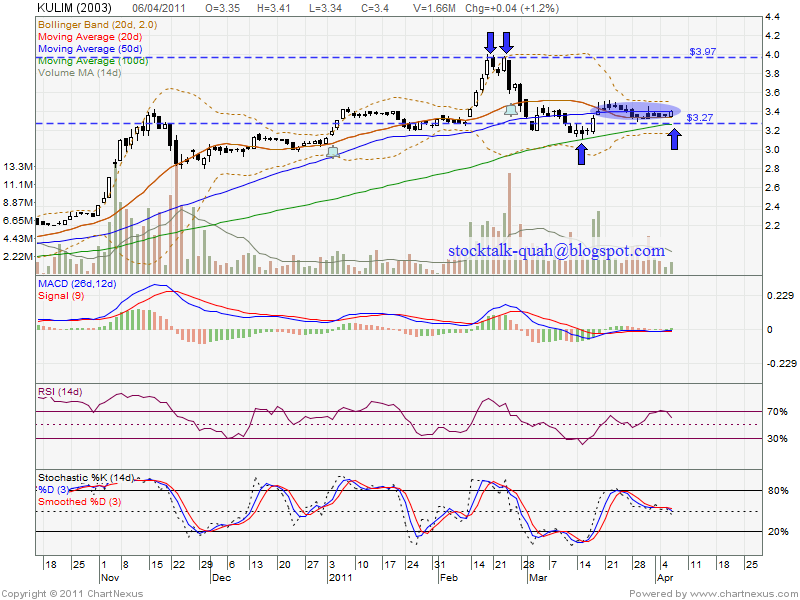 Let watch closely for entry opportunity.